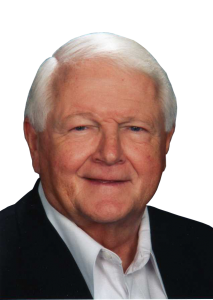 Dennis Whalen 1938-2015 - Leppla Associates, Ltd.
Ocala, FL – We are sad to report the passing of our fellow attorney at Leppla Associates, Ltd., Dennis Whalen, this past Thursday in Florida. Denny graduated from Stow High School, The College of Wooster, and the University of Akron School of Law and enjoyed practicing law for almost 50 years in Ohio and Florida. He was an outstanding and practical lawyer, representing several school boards across Ohio, with a gentle nature, a win-win reputation as a negotiator, who went the extra mile for his clients. Denny was past President of the Out of State Practitioners Division of The Florida Bar, and served two terms on the Board of Governors of The Florida Bar. He was a warm family man and a dear friend. Denny is survived by his wife Linda and their four children, Kathi Whalen, Sean (Katrina) Whalen, Stacey (Steve) Rauch and Trevor Ford, by his grandchildren, Sarah, Susannah, Colin, Abby, Logan, Sydney, Ryan, Eva and Samuel, plus his sister, Janet (Thomas) Weil, sister-in-law, Janice Whalen and niece, Alysse (Ken) Reuckert. Denny was predeceased by his parents, Jack and Grace Whalen, and brother, Bill Whalen. A memorial service will be held at College Road Baptist Church, 5010 SW Hwy. 200, Ocala, FL 34474 on November 4, 2015, at 3:00 p.m. Visitation with family begins at 2:00 p.m. Instead of flowers, donations may be made in his memory to Hospice of Marion County, 3231 SW 34th Avenue, Ocala, FL 34474. 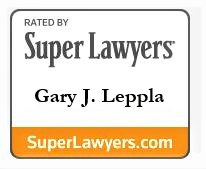 © 2015 Leppla Associates, Ltd.